At All Saints with St. Katherine's we want your wedding to be a happy and memorable occasion, which you will cherish in years to come. We have two church buildings in which your wedding can take place. 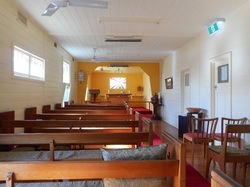 All Saints Rosebud (pictured above) offers a modern setting with seating for 200 people. We have a fine church organ for the playing of the traditional Bridal March (if that's your choice) and to accompany the singing of hymns. We also have a good sound system should you prefer to use CD's. At All Saints we also have a spacious hall facility with kitchen and toilets (see Information on our Church Hall elsewhere on this site) so you can even hold your reception at the same venue should you wish. For your wedding day photographs we have a patio and garden area or, alternatively, what better location than Rosebud Beach which is a 1 minute stroll across the road from church? St. Katherine's in McCrae (pictured right) offers yet another attractive venue with a more intimate feel - ideal for smaller weddings. The church can comfortably seat up to 45 guests. St. Katherine's also boasts a fine church organ. The church is set in its own grounds with generous garden and lawn areas ideal for you wedding day photographs. Alternatively, McCrae Beach is just a 5 minute stroll from the church. After browsing our website, please come in and have a look at the church building. Once you've decided to be married at All Saints or St. Katherine's, call in or phone us to book your wedding date. A deposit of $100 confirms the booking so you can start planning your big day. Please note that we do not conduct weddings during Lent. Q. How much is the cost of a wedding at All Saints with St. Katherine's? A. The total cost is $750. This includes the priest, organist, preparation, parish and verger. Q. 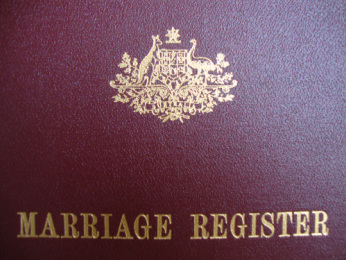 Is it a requirement for the couple to be baptised in order to have the wedding ceremony? A. At least one person has to be baptised. Q. Can we bring our own priest? A. Yes, as long as the priest is an Anglican priest licensed to celebrate marriages and willing to perform the service using the prescribed Anglican liturgy. Q. Can we have our own form of service? A. The service has to adhere to the Anglican liturgy and it has to be performed by an Anglican priest who is licensed to celebrate marriages. However, a wedding blessing given by a priest of another denomination at the end of the service may be accommodated.